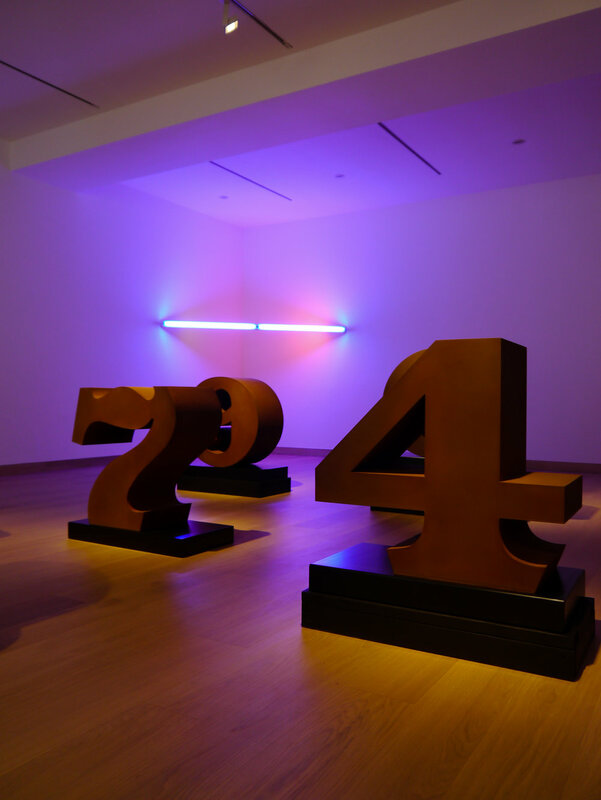 An exhibition of sculpture by three 20th Century American greats; John Chamberlain, Dan Flavin and Robert Indiana. The shows carefully curated spaces draws out the parallels between their practices of found objects and their shared reference to American industry, in so doing they each revolutionised the concept and making of sculpture. 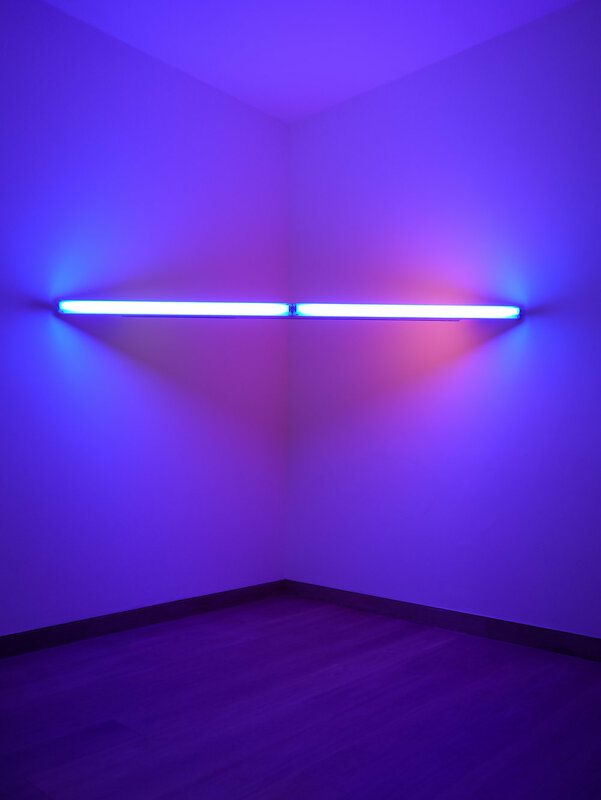 I particularly like Dan Flavin’s light sculptures they have brought together here, incorporating industrial colours and the materialism that his work explored through the use of standardised, everyday florescent light bulbs. 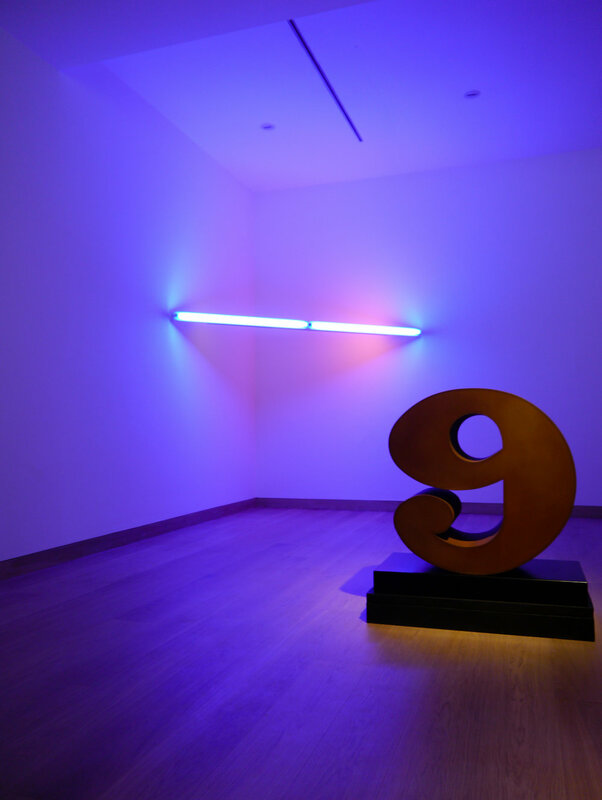 He was interested in how light can be used to shape and define space, this is clearly present in his corner piece, Untitled 1969, mixing colours and reflecting artificial light to a almost limitless extent. His work plays with the space around it, seemingly altering architecture. They are utterly joyful, and exciting to see up close, in the quiet stillness of an art gallery rather than the din of a modern day museum.